The U.S. government employee was assigned to the American consulate in Guangzhou, China and started experiencing the symptoms from late 2017 until April of 2018, according to the U.S. State Department. “The employee was sent to the United States for further evaluation. On May 18, 2018 the Embassy learned that the clinical findings of this evaluation matched mild traumatic brain injury (MTBI),” Jinnie Lee, U.S. Embassy spokesperson in Beijing, told Gizmodo by email. “The Chinese government has assured us they are also investigating and taking appropriate measures,” Lee continued. The news comes in the wake of mysterious illnesses by U.S. government employees in Cuba thought to be either a “sonic attack” or perhaps malfunctioning surveillance gear. At least 22 American diplomats in Havana may have been targeted by “an advanced sonic weapon that operated outside the range of audible sound,” though that’s still only a theory. It’s not known yet whether the injured worker in China was targeted with any such device, despite reporting similar symptoms to the diplomats in Cuba. 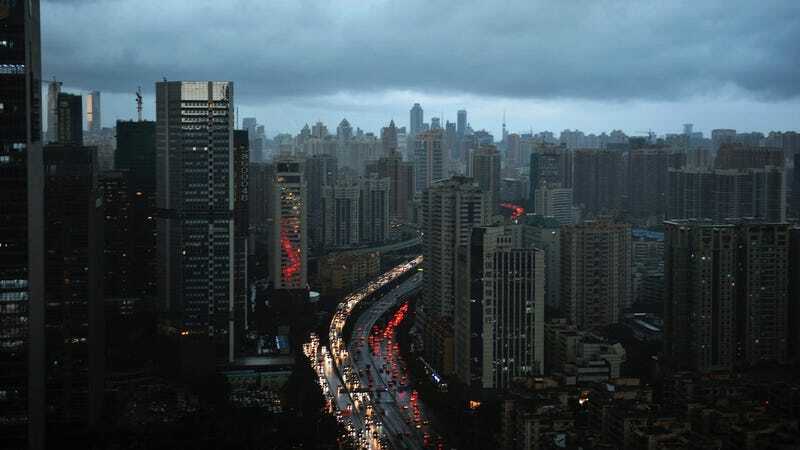 The U.S. Consulate in Guangzhou says that it hasn’t had any other reported cases of strange sounds being heard by American officials, but is taking the issue seriously. “If you have concerns about any symptoms or medical problems that developed during or after a stay in China, consult a medical professional,” the State Department said in a public release. And the State Department warns that if you do experience anything very strange going on in your head, just get the hell out of there. Don’t try to figure out where the strange sounds are coming from. “While in China, if you experience any unusual acute auditory or sensory phenomena accompanied by unusual sounds or piercing noises, do not attempt to locate their source. Instead, move to a location where the sounds are not present,” the release said. After the injuries of the 22 embassy workers in Cuba, the U.S. State Department withdrew a number of staff from Havana. The workers in Cuba suffered, “hearing loss, dizziness, tinnitus, balance problems, visual difficulties, headaches, fatigue, cognitive issues and sleeping difficulties.” The Cuban government denied being behind the attacks, but we still don’t know what the source of the noise was. We don’t even know if it was a state-sponsored attack, Cuba or otherwise. For now, it would appear that the injury in China will remain a mystery as well.